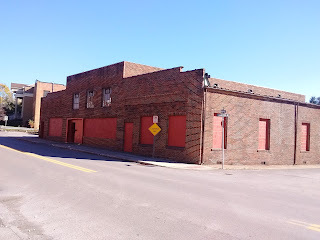 This building originally served as an automotive garage and was built in about 1920. 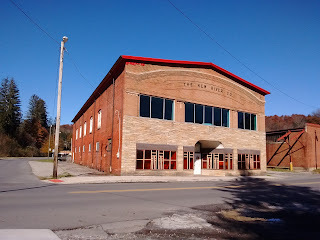 In 1941, the New River Company opened a company store in this building. This was first and only store in Mount Hope known as the "Mount Hope Company Store." All the earlier New River owned company stores in town bore the name the "Macdonald Company Store." 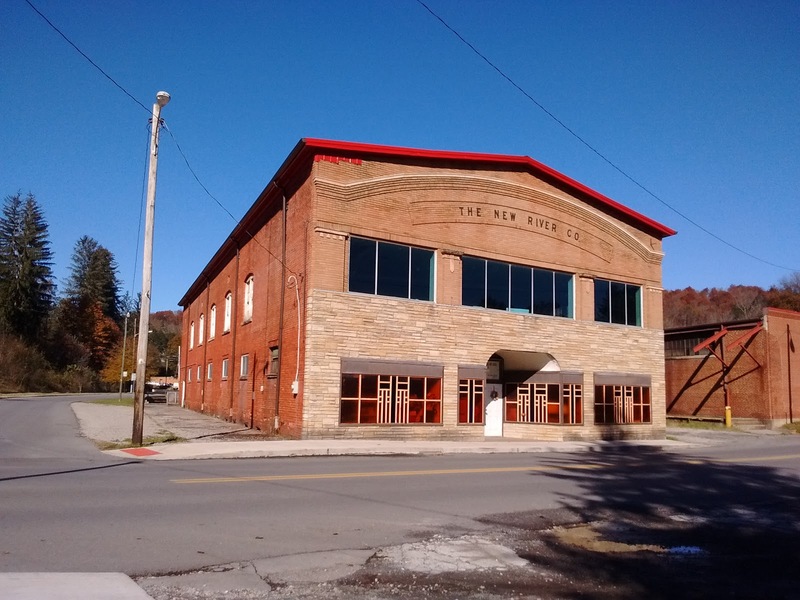 During the time the New River Company used the building it was remodeled twice and changes were made to the front of the building on two occasions. Prior to 1941, the New River Company housed its company store in the building located diagonally across the street, shown in the photo below. This building in located at the intersection of South Raleigh Avenue and Main Street. The exact date that this building served as a company store is not known, but is believed to have taken place from about the mid-1930s until sometime in 1941. This store was known as the "Macdonald Company Store" as this section of town was originally part of the town of Macdonald. Earlier company stores in the town of Macdonald were owned and operated by the Macdonald Colliery Company, which later became part of the New River Company. Prior to being used as a company store this building was used an automotive garage.